A leaked draft of the House Republican bill to repeal the Affordable Care Act would end the Medicaid expansion by 2020, spend a much larger than expected amount of money on state high-risk pools, and create premium tax credits offering 60-year-olds just twice as much as 30-year-olds. The bill would convert Medicaid from an open-ended entitlement program to a program of capped federal contributions to the states based on the number of people enrolled, with payments rising by a fixed percentage regardless of medical cost growth. In addition, it would repeal all the ACA's taxes that finance the law's premium subsidies, Medicaid expansion, and Medicare benefit enhancements. In their place, the bill would establish a new tax on employees for the value of generous employer health benefits. It would hit plans at and above the 90th percentile of current premiums. That idea is deeply unpopular with business groups and labor unions. The “discussion draft,” dated Feb. 10 and obtained by Politico, is certain to draw criticism from both Republicans and Democrats. 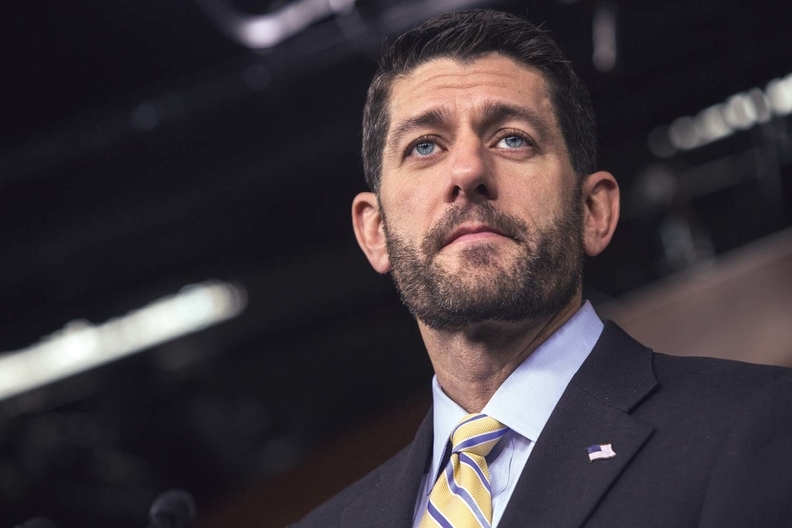 House Speaker Paul Ryan has said he wants to present an ACA repeal bill as early as next week and pass it through the expedited budget reconciliation process on a straight party-line vote before the Easter recess in early April. But he almost certainly will face strong objections from Democrats, state elected officials, healthcare industry groups, patient and consumer groups, and conservatives in his own party. The draft likely is undergoing changes. That may be because insiders say the Congressional Budget Office has scored the bill as causing large increases in the nation's uninsured rate, which would rattle more moderate congressional Republicans who are nervous about causing millions of people to lose coverage. Starting in 2020, the House bill would establish refundable premium tax credits based on age, unlike the ACA's income-based credits. People under 30 would receive $2,000, while people over 60 would get $4,000. Both low-income and high-income people would get the same amount. The bill would eliminate the ACA's minimum essential benefit package and leave it up to each state to regulate benefit levels. Experts said that while that level of tax credit might be large enough to cover the premium of a comprehensive health plan for a 30-year-old, it probably wouldn't be enough to cover the premium for a 60-year-old. A differential of 2-1 in credits for older and younger people seems inconsistent with the push by insurers to increase the permitted premium differential based on age to 5-1, up from the 3-1 differential allowed by the ACA. Insurers say older people have medical costs that are at least five times as great as younger people. To address the issue of covering people with costly pre-existing medical conditions, the House bill would offer states $100 billion in “state innovation grants” over nine years to set up high-risk pools and other mechanisms for insuring such folks. That's much more than the $25 billion House Republican leaders proposed last year in their Better Way white paper. But it still might not be enough to provide solid, affordable coverage to those with pre-existing conditions, given that previous estimates have pegged the annual public cost of running adequate high-risk pools at $15 billion to $25 billion a year. The bill would replace the ACA's tax penalty for not buying insurance with a 30%, one-year premium penalty on people who apply for insurance after letting their coverage drop. It's not clear insurers will consider that a strong enough incentive to pressure younger, healthier people to buy insurance, offsetting the costs of older, sicker enrollees. One of the most politically explosive features of the legislation is the conversion of Medicaid into a capped federal contribution model. “A per capita cap would result in huge losses of funds to states that will cause people to get fewer benefits, force beneficiaries to pay more out of pocket, and significantly reduce payments to providers, thereby causing many providers to shun serving beneficiaries,” said Ron Pollack, executive director of the pro-ACA advocacy group Families USA. “The Senate won't swallow the Medicaid cuts,” said Tom Miller, a conservative health policy expert at the American Enterprise Institute. Healthcare industry groups undoubtedly will demand many more details about the legislation before taking a position on it. Congressional Republicans repeatedly have promised that they would use an open and inclusive process, with plenty of hearings and opportunities for input, before passing ACA repeal-and-replace legislation. Their process, they have said, will contrast sharply with the way Democrats passed the ACA. But experts say it will be nearly impossible to have a full debate on the Republican bill if GOP leaders stick to the lightning timetable they've laid out. Adding to the Republicans' headaches, a new Kaiser Family Foundation survey found that more Americans now view the ACA favorably than unfavorably, 48% to 42%. In addition, the vast majority (84%) say it is either “very” or “somewhat” important for any replacement plan to ensure that states that received federal funds to expand Medicaid continue to receive those funds. On top of that, 66% prefer to keep the current financing structure of Medicaid, compared with 31% who favor the per-capita approach.